Baseball America's 2018 Red Sox Top Prospect List (complied by Alex Speier) shows left-handed pitcher Jay Groome atop the list at #1—followed by 3B Michael Chavis, RHPs Tanner Houck and Bryan Mata, and OF Cole Brannen. 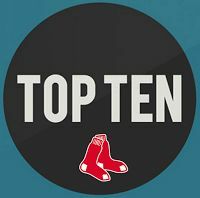 Rounding out the Top 10 are: LHP Darwinzon Hernandez, 1B Sam Travis, RHP Mike Shawaryn, RHP Alex Scherff, and SS/2B Marco Hernandez. The Sox Prospects website has two different players in their Top 10: 1B Josh Ockimey (#6) and LHP Jalen Beeks. (#10). Baseball America also rates the prospects on a range of capabilities. Since Boston needs power offense more than anything this off-season, it is notable that Chavis is listed as the Best Power Hitter. The Best Hitter For Average is seen as Travis.